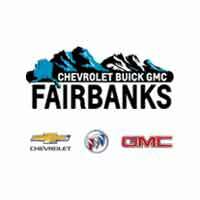 Here at Fairbanks Chevrolet Buick GMC we are dedicated to making sure that you are satisfied with every step of your car buying process. Our dedicated sales people will make sure that they listen to each and everyone of your needs and wants so they can help you find the vehicle of your dreams. We also know that your time is valuable so we will make sure to make your vehicle buying process as smooth and seamless as possible. Please stop by for a complimentary test drive or give us a call at (907) 202-7398.